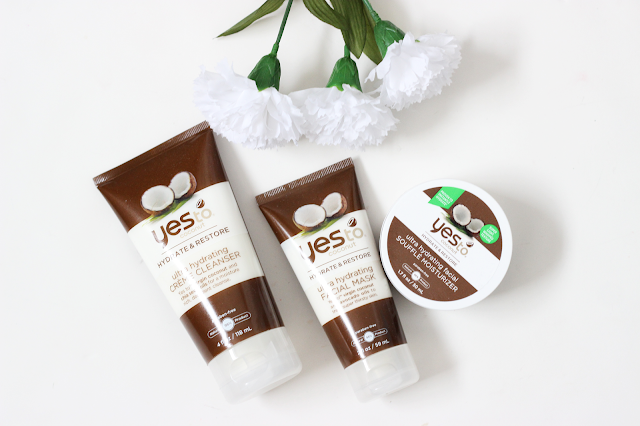 I am so so excited to share with you guys some of the new products by Yes To Coconut's. They recently came out with some more amazing products to add to the coconut line. They came out with a new ultra hydrating creme cleanser, ultra hydrating facial mask and a ultra hydrating facial souffle moisturizer! How exciting right? These products came out at the right time. Where I live the temperatures are always the coldest in January, and on top of it, my skin gets extremely dry and cracks a lot. So I love that all of these products in the Yes To Coconut's line are all meant for hydrating! Ultra Hydrating Creme Cleanser- this product is made up of virgin coconut and chia seed oils which helps get the best moisture for a decadent cleanse. This product is also paraben-free and 96% natural ingredients. With the chia seed oil and virgin coconut oil it helps smooth out dry and cracked skin. Which is a huge plus for me during this time of the year. It also is non-greasy! This product retails for $9.99 and can be found at www.Target.com. Ultra Hydrating Facial Mask- this product is made up of virgin coconut and avocado oils which is to help treat super dry skin. This product is also paraben-free and has 96% natural ingredients. This product is also non greasy. With this mask you apply over cleansed skin and let dry for 5-10 minutes. Then you would gently remove with a warm damp cloth. Which this product is heavenly. It works wonders for my dry skin. This product retails for $14.99 and can be found at www.Target.com. Ultra Hydrating Facial Souffle Moisturizer- this product is made up of virgin coconut oil and shea butter. Just like the rest of the line, it is paraben-free and has 96% natural ingredients. The shea butter helps to create that super hydrating feeling to the skin. You would apply this after cleansing to help hydrate the face even more. I am seriously in love with this product. It retails for $14.99 and can be found currently at www.yestocarrots.com. 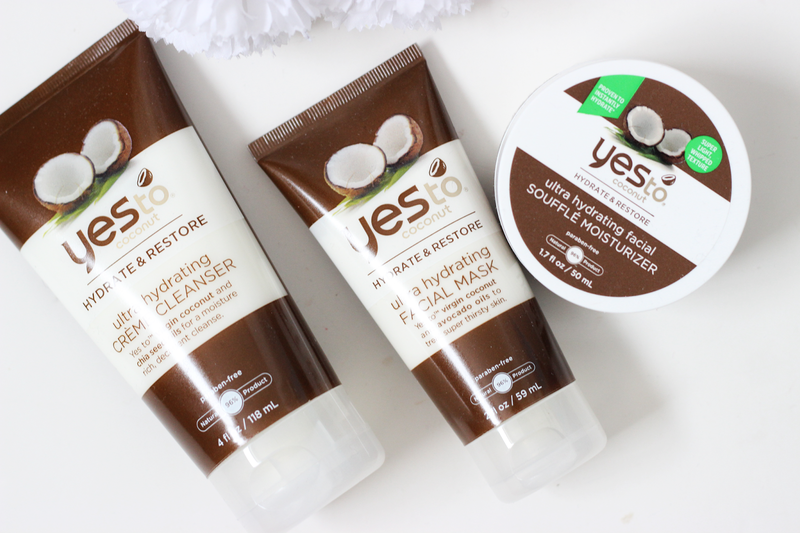 If you love coconuts and are in need of some moisture in your skin I would highly recommend these new products. They work wonders and I have noticed a major difference in my skin since I started using them. Plus, I am in love with the smell of coconut so thats a huge plus as well! I don't need another cleanser but this line sounds heavenly! I just may pick up the moisturizer though. 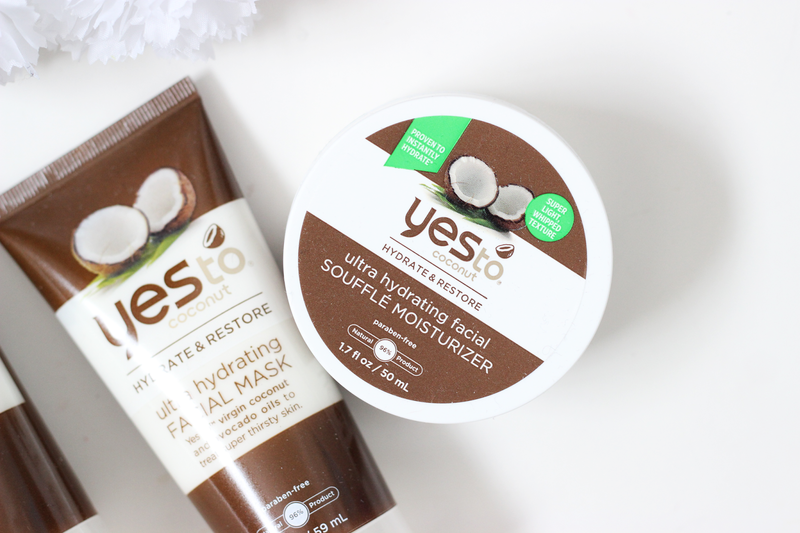 I love coconut oil and I'm impressed that the ingredients are pretty much all natural. I'm sold!